This is the end of the sixtieth chapter Of the book Ayodhya of the holy Ramayana composed by Valmiki as the first epic. This is the end of the sixty first chapter Of the book Ayodhya of the holy Ramayana composed by Valmiki as the first epic. 62.Kausalys begs pardon with Dasaratha and consoles him. This is the end of the sixty second chapter Of the book Ayodhya of the holy Ramayana composed by Valmiki as the first epic. “Who is desirous of killing me who has a matted hair and who wears deer skin and tree bark as cloth? This is the end of the sixty third chapter Of the book Ayodhya of the holy Ramayana composed by Valmiki as the first epic. This is the end of the sixty fourth chapter Of the book Ayodhya of the holy Ramayana composed by Valmiki as the first epic. The wives of the famous and great king realizing that the king has passed away , surrounded him with great sorrow and wept piteously and bitterly holding each other’s arms and wailed like orphans. This is the end of the sixty fifth chapter Of the book Ayodhya of the holy Ramayana composed by Valmiki as the first epic. This is the end of the sixty sixth chapter Of the book Ayodhya of the holy Ramayana composed by Valmiki as the first epic. 67. The Brahmins want someone to be crowned. This is the end of the sixty seventh chapter Of the book Ayodhya of the holy Ramayana composed by Valmiki as the first epic. This is the end of the sixty eighth chapter Of the book Ayodhya of the holy Ramayana composed by Valmiki as the first epic. This is the end of the sixty ninth chapter Of the book Ayodhya of the holy Ramayana composed by Valmiki as the first epic. 70. Bharatha lakes leave from grand father and uncle and starts. 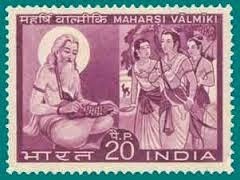 This is the end of the seventieth chapter Of the book Ayodhya of the holy Ramayana composed by Valmiki as the first epic. The glorious and auspicious prince of the Ikshuvaku clan Bharatha started from Rajagriha , travelled eastward and having crossed the rived Sudhama observing its course. Then he crossed Hladhaneeya river and then crossed the very wide Sathadru river which was flowing in the western directions. He became greatly drowned in sorrow seeing the highways, crossroads and houses deserted and with iron nuts , nails and bars and locks covered with dust , the city which once looked like the city of Indra . This is the end of the seventy first chapter Of the book Ayodhya of the holy Ramayana composed by Valmiki as the first epic. Not able to see his father in his father’s home , Bharatha went to his mother’s home to see his mother. This is the end of the seventy second chapter Of the book Ayodhya of the holy Ramayana composed by Valmiki as the first epic. This is the end of the seventy third chapter Of the book Ayodhya of the holy Ramayana composed by Valmiki as the first epic. With blood shot eyes , with torn disheveled dress, with ornaments in disarray , that destroyer of enemies who is the son of the king fell down on earth, like the flag of Indra after the festival got over. This is the end of the seventy fourth chapter Of the book Ayodhya of the holy Ramayana composed by Valmiki as the first epic. This is the end of the seventy fifth chapter Of the book Ayodhya of the holy Ramayana composed by Valmiki as the first epic. Logs of Sandal and Agaru trees, guma of Guggul and Balsa trees , wood from Sarala , pAdmaka and Devadaru trees and many other fragrant substances were brought by the people and were strewn to make a funeral pyre and thereafter the priests placed the body of the king on the centre of the pyre. This is the end of the seventy sixth chapter Of the book Ayodhya of the holy Ramayana composed by Valmiki as the first epic. 77.Bharatha performs death rituals of the king. This is the end of the seventy seventh chapter Of the book Ayodhya of the holy Ramayana composed by Valmiki as the first epic. This is the end of the seventy eighth chapter Of the book Ayodhya of the holy Ramayana composed by Valmiki as the first epic. 79.Bharatha refuses to be crowned and wants to crown Rama. When the prince was talking favouring Rama , all the people replied him in excellent auspicious words. This is the end of the seventy ninth chapter Of the book Ayodhya of the holy Ramayana composed by Valmiki as the first epic. 80. Bharatha ’s men construct the road for march of the army. Within a very short time , they constructed big ponds and lakes, looking like the sea of different shapes. Those workers who were responsible for various tasks , obeyed the orders of Bharatha sincerely and ordered other artisans to work. They filled up resting places meant for Bharatha with various types of fruits and also made them lovely. They also decorated such places so that it resembled ornaments. This is the end of the eightieth chapter Of the book Ayodhya of the holy Ramayana composed by Valmiki as the first epic. Seeing Bharatha crying like that and becoming unconscious , all the women cried together continuously. Sitting on the golden seat covered with comfortable spread, he gave orders to the messengers this way. This is the end of the eighty first chapter Of the book Ayodhya of the holy Ramayana composed by Valmiki as the first epic. This is the end of the eighty second chapter Of the book Ayodhya of the holy Ramayana composed by Valmiki as the first epic.